As you probably know if you have ever been asked to ponder the relative benefits of trim size and paper stock and e-book conversions, there is whole a lot more that goes into a book than just writing it. Another way of thinking of publishers is not as companies that decide your fate as an author, but rather as companies that offer the authors they’ve chosen to work with a comprehensive package of services. While the myth that editors don’t edit is alive and well, the truth is that books are edited and copyedited at traditional publishers (please please please know the difference between editing and copyediting). This affords a certain degree of quality control. Now, sure, we’ve all spotted typos in books, which infect us temporarily with disproportionate outrage and a jolt of smugness. It happens. But all you have to do is read this blog on a regular basis to see the horrorshow of typos that results from text published without copyediting. Editors and copyeditors (yes, still), provide professional editorial expertise that improve books. I’m sure you’ve heard they don’t edit and copyedit anymore. It’s not true. Cover, trim size, interior design, illustrations/photographs, font choice, paper choice, etc. The best-designed books are works of art. Once the books are actually produced, someone has to get them into bookstores and e-bookstores. Traditionally this has been the irreplaceable service offered by publishers. Not only would they make the books, they would draw upon their reputation, sales teams, and infrastructure to get print books into bookstores in large numbers. Even in the e-book era distribution still matters. There are new e-book vendors cropping up every day, and publishers have the scale to sell their e-books in as many venues as possible while dealing with all of the accompanying electronic conversion headaches. At minimum publishers get their books sent out for review and do some basic advertising. When a publisher turns on the publicity and marketing fire hose for their biggest books, they will manage book tours, author appearances, giveaways, major advertising campaigns, co-op, and much more. Publicity and marketing aren’t everything, but they can provide a major boost. While debut novelists almost always have to figure out how to write a novel on their own time and dime, publishers nevertheless offer nonfiction authors and previously published novelists money in advance of writing the actual books, which both rewards authors before their book actually comes out and theoretically supports them as they’re writing it. Obviously the degree of support this affords the author depends on the amount of the advance, but money up front that the author doesn’t have to pay back even if the book tanks ain’t nothin’ to sneeze at. Aside from all the tangible services publishers offer authors, there is one intangible element: cachet. There is something to be said for the selectivity and track record publishers have demonstrated and for the endorsement they still lend to traditionally published books. While the name of the publisher on the spine of a book doesn’t matter to everyone, it does still matter to many bookstores and readers. Now then. The key element in all of this that is changing is, of course, printing and distribution. In an e-book era, it is no longer be necessary to have extensive physical infrastructure in order to make a book available, and when it comes to e-book distribution publishers are no longer the only game in town. Authors can either deal directly with Amazon, Apple, etc. or work with third-party digital distribution services. But that just covers one element of the book-making process. Every other basic element that goes into a successful book is still pretty much the same. Books may be edited on Microsoft Word instead of with colored pencil, but you still need editing. Your marketing may be more Twitter-based than newspaper-based, but you still need marketing. Thus, an author dealing directly with an e-book distributor has to figure out how to handle patronage, editorial, quality control, design, marketing and publicity, and must possess (or build) cachet. They’ll have to either tackle all of this themselves, or farm some or all of it out to contractors and must possess the financial and time-consumption wherewithal to do it. For some authors (most recently Seth Godin), the flexibility, control, and greater back-end revenue afforded by self-publication is worth it. Other authors may feel that they don’t want to be bothered with the nuts and bolts of figuring out their own copyediting, cover design, interior design, marketing, and may still want the imprimatur of a publisher. Personally I think this is the reason why publishers aren’t going to disappear even in an era where they no longer possess a virtual monopoly in distribution. Many authors don’t want to be bothered with the nuts and bolts of book-making so they can focus on writing and marketing and their day jobs, and are willing to part with revenue on the back end in order to have these tasks handled by seasoned experts. What is inevitably changing, though, is that authors will have a choice: handle it all themselves, contract some elements out, or go with a publisher offering a comprehensive package of services. And in the future, as Design/Production winds down, they're really going to have to focus on the cachet and marketing pieces. I also think the "patronage" piece is going away in favor of a straight royalty model. Just my peek into the crystal ball. Based on nothing, of course. Can I just say, again, how much I love your blog, Nathan? so much great info in one easy to find (and most often entertaining) place. I'm waiting for a publisher or ebook vendor to create a program that figures out books you'd actually like based on your reviews of books you've read. Like Netflix for novels. And at the very least it's likely that writers who are fairly prolific will go with traditional publishers for their "franchise" books, but books they wrote outside their genre or that don't fit into what the public perceives (or the publisher perceives, more likely) to be a NAME BRAND AUTHOR'S BOOK HERE will be e-published by themselves. Great info, Nathan! As an editor at a partnership publisher, it's something I've been preaching to my authors consistently. You may not like having to pay for it, but as a first time author, there's really no way around paying for publishing services. The benefit of partnership publishing is it's a one-stop shop, and someone else handles the behind the scenes work. For an exhaustive discussion about the differences in self-publishing, partnership publishing, and traditional publishing, check out my article, The Inside Scoop on Publishing Houses. If I ever made it through the gauntlet and got a book all the way to an editor, I'd probably end up with the editor at Knopf Doubleday who got the apostrophe wrong in the title of Stieg Larsson's latest. @ Ryan: Amazon does actually offer the "people who bought this book also bought these books" suggestion. I'm constantly surprised by the amount of self-pub advocates who pooh-pooh the services a good publisher provides. I don't *want* to wind my way through the maze to get my book listed on B&N, Amazon, Fictionwise and a dozen other e-retailers. I don't *want* to either have to learn how to do cover art or, worse, pay through the nose and hope that I've achieved the right cover for my intended market. I don't even pretend to be good enough to go without editing, as some self-pub prophets brag about, or have the money to pay a freelancer. I'm very happy to let my publisher do it all and do it better than I could. The amount of distain for publishing professionals is growing and I don't like it much. Once upon a time not more than a hundred or so years ago authors did handle it all on their own. They'd self-edit or engage proofreading acquaintances, engage subscribers and patrons and benefactors, wrangle with bookmakers, printers, and distributors, though there were concerned inputs at every step along the way, and disputes, and pirates raking away author revenues. 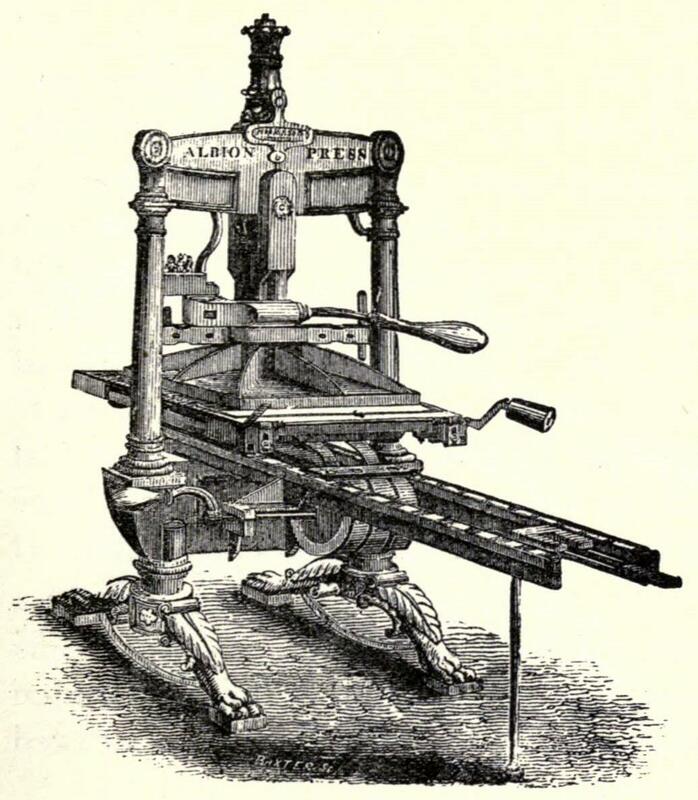 For all intents and purposes, book publishing as we know it today is barely a century old. Compared to vellum and parchment book publishing which endured for millenia. I'm sitting here slightly amused at the e-reader foofaraw, because if history is any guide, recent as well as ancient, the pace of change is accelerating. The upper limit of change is limited by industry retooling and technological adaptation by consumers. But in the end e-books as they are now will likely be as fleeting as laser discs, 8-track tapes, and RosettaBooks' spotlight fame. Further, with the increased pace and depth of subject knowledge, the general trend is toward top end specialization and entry level generalization. The number of packaging services traditional publishers provide runs toward specialization, self-publishers toward generalization, currently. Though the publishing workplace could use more self-publishing specialized services, thus far it's catch as catch can and heavily weighted toward mediocre expertise. I'm no expert specialist in any particular area, but I'm leagues ahead of the pack in several general regards. What most concerns me is the general trend toward quantity over quality that marketplace forces drive. Declining nondiscretionary editorial quality foremost. The number of typos I encounter in novels has increased in the last twenty years from one or two up to dozens per book, even by some of the bigger publishers. I've watched the same decline in newspaper editorial oversight take place, but for longer and more so. 'nough said. I'm concerned about author revenues too. Change invariably short shrifts unorganized primary product producers. Middlepersons take an ever increasing disproportionate share, and endpersons price accordingly, assuring predictable profits. Commission increases over the history of literary agents illustrate; at first a flat 10 percent, now 15 and up to 30 percent. Inflation always leaves the most common determinant, authors in this case on point, in the dust. What I miss most, as a traditionally published author, is distribution. I don't know if this is common throughout the book world but my publisher does not even let my books be sold in my own country except by his online site's bookstore. So I never see my books in bookstores and I lose all the browsers who would possibly recognize my name from their past, and buy my new books. In the first link, you cite Amazon reviews griping about the editor overlooking typos. I read Amazon reviews all the time, and it seems to me that most of those "where was the editor?" questions are to due to the macro, not the micro. As in, this book would benefit by trimming the fat. It's unnecessarily long, it goes off on tangents, it's poorly written, etc. And for all of those who complain about fat or typos, they're readers, not writers, so why should they care about the difference between editors and copyeditors? And aren't both complaints really about the level of professionalism? Not far enough along to investigate how the industry actually works, so I found this article helpful, but daunting. A lot of us would-be writers aren't particularly gifted at PR (evident if you've ever attended a writer's conference), and shudder at the thought of having to become a terrific salesperson as well. Even in that context I'm not sure why people blame editors all the time. Authors are the ones who are ultimately responsible for what's on the page. Editors are responsible for taking what authors send them and make suggestions for improvement. It's up to the author to take or leave those suggestions. If someone doesn't like my novel, I hope people blame me and not my editor. I have to agree with flibgibbet (I tried hard not to "typo" your name). I find the concept of self promotion rather daunting, and I agree that the "traditional" writer personality tends towards the more introverted. With the exception of co-authored books, writing is a very introverted activity that requires countless hours of solo work. It's not exactly a team sport — although at some point you do have to deal with others in the form of feedback, editing, etc. However I think that the writing process itself is solitary and favors individuals who are more comfortable leading more solitary lifestyles. And even those writers/would-be writers who have more outgoing personalities, marketing and promotion require expertise and experience. Or just a lot of raw talent. I think it's the rare person who can be a very good writer and very good at marketing and promotion. Self-publishing is a difficult road to take. As an experiment, I uploaded two short works to Amazon and made them available in the Kindle store. I desiged the covers, did the editing, and the layout design and html code juggling that needed to be done in order to get them looking right. And let me tell you, after all of that, the time you have to put in to promote your work is exhausting. And there aren't many ways to do it successfully. The grand total of copies sold thus far (after several months)? Somewhere around 14. Four of which were to relatives. Some of the self-published authors there seem to have mild success, but I think the majority (myself included) have very little in the way of success to show for our efforts. I'm all for traditional publishing and all of the things that come along with the package. And that's really the crux – all of the self-pubbers feel that their work is good enough – although the trad. publishing industry, for the most part, has thought otherwise. Very informative post, Nathan, and as someone else said in this thread, somewhat daunting to our writing expectations. Change happens, and we either go with it, or find another route. Thanks for being clear about the current situation in publishing. I would call this a non-inspirational post. More like cold water in the face. But it pays to know what we're up against in trying to get an agent and getting our book published the traditional way. It seems that if a traditionally published book is 'bad'–be it for format errors, typos, or just poor writing–that it is a failure at numerous levels. No one person can be blamed. (Although, I tend to agree with Nathan that the author should always be the primary culprit.) After all, it takes an army to put a book through its paces prior to publication. I think an author could find some solace in the idea that, "it's not all my fault" if a book fails. However, I think most authors recognize that it's ultimately their bad if it stinks. Because of that, I'd wager the average author would want more control over their creation, not less. Favorite line: "Now, sure, we've all spotted typos in books, which infect us temporarily with disproportionate outrage and a jolt of smugness." Love your blog. Thanks for continuing to provide us with great info. There's one other aspect I haven't seen addressed: legal protections. A publisher will engage in a certain amount of antipiracy work and assisting authors in defending against certain lawsuits. (I know it is limited, but the publisher and its lawyers still have more clout than a lone author.) Do e-book publishers who offer self-publishing services have the same legal backup, or is the author left to hire his own legal team to combat illegal downloads and defend against frivolous plagiarism charges and so on? Very very very good point, anon. Yup. A lot of people have been making the argument recently that with self-publishing, you get to control everything about your book…but I want the printing and distribution and publicity and marketing services because I am not as good at selling myself as I should be. (And yes, I know I'll have to do it if/when I am published someday.) I also want the cachet a traditional publisher affords, and Anon makes a good point about the legal protection. I think a large enough number of us want this to ensure that traditional publishers will be around for a while. An author's voice is like the cachet a prestigious, recognizable publisher brings to a novel. Hard to describe, but indescribably valuable. It seems like publishers would be wise to focus on the part that most writers seem to hate (marketing/promoting) as a way to survive and thrive in the changing industry. From my outsider's point of view, however, the marketing/promoting part of publishing seems to get trimmed more and more every year. "Many (publishing houses) don’t provide the same level of editing services that they used to; they often expect more books to be delivered by each of their editors and they also lean to agents they can trust to do a lot of the work of putting a book in shape. As of yet, I am still unrepresented, but once I am — and the work sells — I want to know that the text will receive the scrutiny it deserves. Oops, looks like I missed an "end quote"… someone could use a copy editor. "Many authors don't want to be bothered with the nuts and bolts of book-making so they can focus on writing and marketing and their day jobs, and are willing to part with revenue on the back end in order to have these tasks handled by seasoned experts." Agree. Also, it would be nice if my work magically appeared on e-readers the world over. They can take that from the back end too. I love this post. But there's a small part missing…or maybe I missed it. It seems to have gone directly from traditional publishing, with advances, editing and other services provided, and right into self-publishing e-books, where the author is repsonsible and pays for the above services. Self publishing and e-publishing are two different creatures. I have over thirty novels published with reputable e-publishers and all have been bestsellers in their genre, so I know what I'm talking about. I get an advance, my books are all well edited and copyedited by the publisher,and the publisher distribute and markets and promotes all over the world. Of course all authors with any publisher are responsible for promoting their own books along with the publisher, but I think it's important when explaining the package of services different publishers provide it's clear that most e-publishers offer the same services to authors that traditional publishers have been offering for years…which includes advances. And, my background was with traditional publishers so I know how to compare the two. I'm only publishing anon now because I don't want it to look like I'm promoting myself or any publishers in the thread. I've also been seeing a few new agents popping up who only deal with e-publishers and authors writing for e-publishers. Basically, the only difference between e-publishers and traditional publishers are that the books go right to e-books on release date (launch date) and then eventually into print on demand as paperbacks. But I think any author working for an e-publisher will testify that it's the e-books that sell the most copies, not the print on demand hard copy books. P.S. to my above post about e-publishers. With over thirty books, I've never taken a single penny out of my pocket with the e-publishers I've worked with. I collect nice quarterly royalty statements and check, along with the advance, and it doesn't cost me anything. I'm so glad you posted on this. I think publishers will be around a long time if they keep offering these services and if they keep offering offering advances, too. Who cares who prints the book? Who cares is the story is read on a screen or on paper? The publisher is not the printer. Why should publishing companies disappear? Oh man! My head is wheeling. At what point does one say, I'm suffering from information overload? Not to say that I don't read this with interest. I think that what is really changing, is that after about 100 years, the full force of the concept of a free market is hitting the publishing industry. The pendulum has swung from self-publishing, to what is now called "traditional publishing," and now it is beginning to move to a kind of equilibrium, where both of these will co-exist, and cater to different markets. It is impossible for publishers to profitably take on and market every good book that is written. There are only that many people buying books. So for the author who has something to say, but cannot get into traditional publishing, self-publishing is a real option. Many of the self publishers offer – at a price – all the steps that you've mentioned, Nathan. I picked up quite a good concept the other day from a group called "Strategic Book Publishing." Writer's beware listed them as a scam, so I didn't take them up on it – but it seemed like a good concept they're on to. They give you an estimate of what the whole project will cost, up front, and then you pay them monthly what you can afford. Based on what you can afford, the project slowly progresses through the steps using that money. For an author who wants a professionally produced book, is willing to spend money and take the risk that his book is really THAT good, or simply needs the book for a specific market – this might become a good alternative. It might take two years, but you still end up with a professional book. The challenge is knowing which of those self-publishers really provide professional services. Is it possible that there could be a gap in the marketplace for agents to work with authors, to market self-published books to the retailers? Really, Briana Johnson? And where did Nathan say anything remotely resembling that? His post was about traditional publishers, not partnership publishers. Good point, Nathan, about editors really being advisors. Ultimately, the author does the editing. But this was informative. Thank you much. I think also, beyond some authors wanting to focus on the writing and not wanting to be bothered with other aspects of the book-making process, it's a question of focusing on the part you do well. I mean, my design sense isn't bad, but a professional is going to be way way better at it than I am, and not just in terms of the designer, but also the decisions about what design is best to market my particular book. I am a big believer in letting professionals do their thing, because they are going to do that part better than I can. Thanks for this timely and informative post, Nathan. Too tired to add anything deep and meaningful today, but will just say this blog is def. one of my all-time faves. This is a really good post, very thought provoking, and right on the pulse of the industry. I've been thinking about it all day, and I still need to organize my thoughts around all this. It's complicated. It's not only about technological change, but cultural change. The entire culture of publishing may be changing, and that can create alot of strong feelings. The bottom line, I feel, is this. Talent and skill finds a home. Whether that's an author, an editor, an artist, a copywriter, a teacher, a promotor or a leader. However it shakes out, creating a finalized book requires many skills, and those with talent and knowledge will be sought after in one way or another. I think you're right, Nathan, that the author will have more options and choices. In the long run, this may lead to an explosion of options – not just for authors, but for everyone. I hope that's coherent. 🙂 I'm tired and HOT!! Where did our wonderful cool weather go? Record temperatures in the 100s? Bleh. Anyway, thank you for the extremely relevant post. "In an e-book era, it is no longer be necessary…," said Nathan. The future crashes into the present as Nathan blogs. He's not sure if the e-book era is coming or already here. He decides it's already here, changes 'will no longer be necessary' to 'is no longer be necessary'. Nitpicker to Nathan: Kill 'be' or change 'is' back to to 'will'. How long did it take you to write that? That was a lot of good information. Although it's still the literary agent that opens the door. The reason I wouldn't self publish is because I learned the hard way (ie by self publishing my first book many years ago – and I know things have changed substantially since then) – that I need an editor. My novel was published by a small university press so I've done a lot of the promotion side of things, which is fine by me. The most important thing for me, is that my book wouldn't be the book that it is, without my editor. She pushed me, pulled me, sometimes drove me crazy with her suggested rewrites. But because of her comments and insights, the book is WAY better than it would have been if I'd said "okay, that's done, off to the printer's you go." And it's not that I'm lazy or say 'done' too soon – it's that I simply don't see the things she does and the things she sees, makes for a better book. So I'll get pitching my next book to a publisher because I like to have a wordsmith captain at the wheel. There are more paths to successful publication than ever before. That's a good thing for authors, and every writer has to find their own path and style. I was very fortunate. After being rejected (but almost making it!) by traditional publishing I let my book set on the hard drive a couple years. Then Kindle store came along and Bezos offered to e-publish my book for free. With nothing to lose I used the digital text platform interface (very easy) to upload my book. I created a cover from a beautiful photo taken by a friend. My book has sold over 5,000 copies, and continues to sell at a brisk pace. I've added more books, and I have a nice monthly income. It isn't for everybody, but it worked for me. I think we're seeing a new breed of "authorpreneur". Some will be established writers (Godin, McEwan, Konrath) who know how to sheperd a work to production themselves or with a few colleagues. Others will be debut authors (as I was) who aren't a fit for traditional publishing (I was told my writing was excellent, they just didn't have "space" for me). The technical skills required to self-publish on the internet are minimal. Of course you still must find (or contract) beta readers and competent editing. A simple, eye-catching cover image works — the most important aspect is your story. If the story is good the word will spread (the internet is a viral place), and cover art diminishes in importance. Marketing work is less important online than one might think. If you have a hit book a few devoted fans will do most of the work for you. Word spreads like wildfire in cyberspace. I also believe the advance will go the way of the dodo. If you can negotiate 70% royalty and speed time to production (why wait 18 months?) then advances are not needed. Indie publishing isn't for everyone. But for those who have the skills/resources and are willing to learn it can be very liberating (the author has more power in deciding cover art, editing, etc) and rewarding, and (I believe) far more profitable (in $, and possibly cachet, because an author's brand is his/her name — not an imprint) than traditional publishing. Whew. That got long. Good luck to all, and thanks to Nathan for pointing out the advantages of traditional publishing. I was very fortunate. After being rejected (but almost making it!) by traditional publishing I let my book set on the hard drive a couple years (well, OK, I edited it another ten times). Then Kindle store came along. They offered to publish my work for free. With nothing to lose I used the digital text platform interface (easy) to upload my book. I created a cover from a beautiful photo taken by a friend. My book has sold over 5,000 copies, and continues to sell at a brisk pace (hundreds a month). I've added more books, and I have a nice monthly income. I think we're seeing a new breed of "authorpreneur". Some will be established writers (Godin, McEwan, Konrath), who know how to sheperd a work to production themselves or with a few colleagues. Others will be debut authors (as I was) who aren't a fit for traditional publishing (I was told my writing was excellent, they just didn't have "space" for me). The technical skills required to self-publish to Amazon Kindle store are minimal. Of course you still must find (or contract) beta readers and competent editing. A simple, eye-catching cover image works well. No need to spend thousands on cover art (I've spent $50 total on 3 covers). The most important aspect is your story. If the story is good the word will spread (the internet is a viral place). Marketing work is less important online than one might think. If you have a good book a few devoted fans will do most of the work for you (they'll post on blogs and email their pals). I don't have a blog, don't use Facebook, have never twittered. I don't even use my name on blogs (like this one). My books sell very well and I'm making more money than I ever imagined, thanks to 70% royalty on Amazon. Whew. That got long. Nathan makes good points. Indie publishing isn't for everyone, and there will always be an important role for traditional publishing. Frankly I'd love a contract from a traditional publisher for distribution in hard copy to the thousands of bookstores. That's the one nut I can't crack by myself. Whew. That got long. Nathan makes good points. Indie publishing isn't for everyone, but for those who jump through the hoops it can be very satisfying and profitable. Sorry about multiple posts. I kept getting the "too long" error message but they were posted anyway. hmmm, food for thought Anonymous – thanks! One of the major issues with traditional publishing is time to market. All of the services that you mention, provided by publishing houses, can and are being bought by those wanting to be "out there" faster. Instead of waiting 24 months for a product that you have little control over (and that *might* be a good thing) you can be published in 3 months. Publishers and the services they offer are not going to die – but they will have to change in a big way. Consider this – in 2 years time there will be 5 billion smart phone users. A lot of those phones will have screens large enough to read a page of text. Nathan: you, and "Locusts and Wild Honey," I believe, are absolutely spot-on with your analysis and predictions. What remains to be seen is in which form, ultimately, writers either make the most money, or get the widest audience…and/or perhaps are judged on their talent and skill by readers rather than someone else's idea of their "marketability." In the link article defining the differences between editors and copyeditors, I am missing the place where the developmental editor comes in. Is the main editor (who acquires the book) also the developmental editor? Or is that the agent? Or is a developmental editor sometimes not necessary? Or extra or different? When I have heard "developmental" editors speak about their jobs, it seems like it is much more entailed (and, if hired by the writer, VERY, VERY expensive in most cases). Nathan, I think a key insight was in your closing comment about publishers offering a package of services, some parts of which are not needed by all writers. DIY is a model that consumes a lot of time, so publishers can add a lot of value by shouldering important parts of the load, especially on the promotion and distribution side. And then there's the case of Stieg Larson, which is bothering me greatly. His novels–3 best sellers and already major motion pictures–were published posthumosly. As in, after his death in 2004 of a heart attack. So, not only did he not benefit financially–apparently not his goal–but neither did his long-time girlfriend. Nor did he ever get to see his crime novels, which have awakened eager readers to the fact writers in other countries and languages exist, published. Nastly little trick to play on a writer, who obviously was publishable, no? If your goal as a writer is to publish, I still say, publish after putting some time in getting your writing looked at and maybe considered but rejected by "traditional" publishers for reasons other than "literary merit." If your goal is to get rich, maybe find another line of work? I'm currently with a small press and my editor rigorously edited my book! It's a better book for his efforts. Plus, I'm getting TWO rounds of copy edits. We also rigorously edit Electric Spec and quickly fix anything we've missed after we go live. We aren't perfect, but we damn well try. Editing is alive and well, thank the writer gods. Anon, you asked about the Developmental Editor. At my (small, brand new as of last fall) publisher, we have Acquisitions Editors, who make the decision whether to contract a book, Developmental Editors, who make suggestions for plot, character, etc., etc. revisions as well as clean up the text for grammar, wordiness, etc. etc. Next stop is the Managing Editor who gives a follow up edit for grammar and plot, etc., and then we have the Copy Editor. So, once a manuscript is accepted for publication, it goes through no less than three fantastic, amazing editors. So, yeah, Nathan's point that editing is alive and well is right on. My opinion is that the developmental editor is absolutely necessary for newer authors. Perhaps not so much for more experienced, proven authors. They give it straight in a way that friends, family, and colleagues may not. And they clean things up enough that the follow-up editor can more easily spot the little errors that they might miss if they were bogged down doing the whole edit themselves. Terin – Although his books were published posthumously, Larsson had a publishing deal before he died. I'm all for consolidation 🙂 I want the agent, then the publisher, and I want only to write and go where they tell me. I'm pretty good at scheduling. I'd been thinking this way throughout all the "e-publishing is taking over" craziness. If I don't want to mees with the publication details, I'm sure lots of others feel that way too. Ashton: I think you're right. There is a niche. Some agents are already scouting, I believe. Also some "acquisition editors." Gemma: you, too, are right. However, small consolation, considering he still died before his first novel was published in 2005. And in Sweden. In Swedish. Yet, he's up there with Khaled Hosseini's Kite Runner as far as most copies of a book sold in 2008. Which brings us to another "market," or marketing move: some books do REALLY well in translation. Some do not. So. Back to Ashton: also a niche for agents to scout out works, perhaps self-published or at least on some shelf, that lend themselves well to translation and a wider audience? I would not have read Zola or Balzac or even Galdos at first had they not been translated from the French and Spanish somewhat well. To say nothing of the Russian authors. But reading the writers in their original language gives you an even greater appreciation of their skill, talent, and art. For authors with out of print backlists, e-pubbing is a gift from heaven. Nice post Nathan. However…..how do the changes to what publishers offer affect what Agents offer? They may, of course not…but would be interested to hear your views. I think you're seeing agents step more and more into the editorial, marketing, and cachet realms as resources at publishers become more strained, and as they want more of a finished product up front. That thing looks like a steampunk machine! For some reason "the Package of Services Publishers Provide Authors" is leaving me with a bad taste. Few self publishing authors can afford the services of a good Children's Book Illustrator, as can a Commercial pub, and the quality of printing needed for images has a hefty price tag attached to it as well. So many self-published books simply skip the editing phase, assuming it's not very important. So I think we are moving more and more into a market that is flooded with books that contain serious issues. The kind of things that would never have gotten by a good editor. It will be a matter for the reader of separating the wheat from the chaff. And I think the reader will often use the professionally published model as a guide to a better (at least potentially better) reading experience. The debate is constant. To self-publish and have full control and no one to blame for errors or use a publisher and hope that what they have to offer increases my chances of success. As a student at an on-line university, the self-publishing route is appealing. After all, my entire life is spent on-line, in front of my computer. However, it is clear that publisher's can offer more in the way of distribution and publicity. The question is, do they? Research indicates that many authors still have to do most of the leg work in marketing their book–whether they use a publisher or not. there is an error on Line three under section CopyEditing. The two links are throwing error 404 – page not found!